:: THE FRESHEST ::: FCZ x SEKO + MORE @ HEF! FCZ x SEKO + MORE @ HEF! 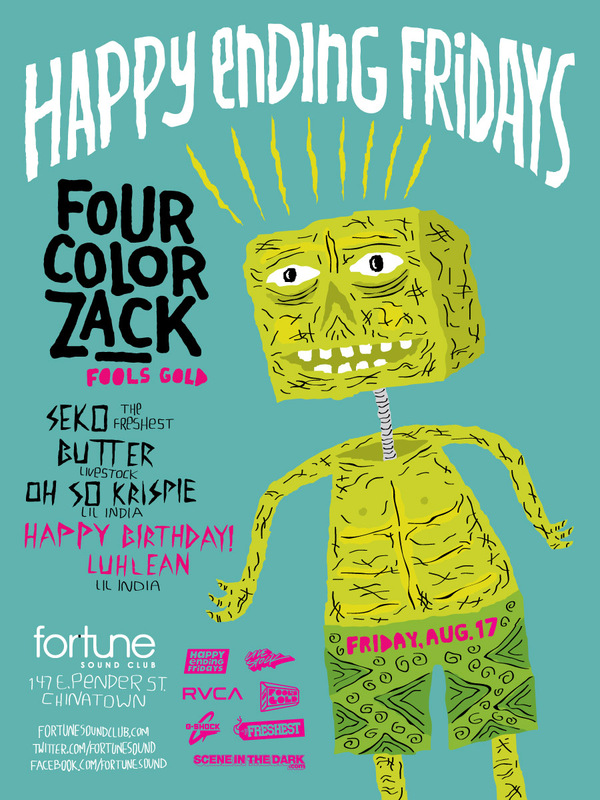 2012 USA Redbull 3style Champ and all around swell dude Four Color Zack (Fools Gold / Seattle) will be joining forces with Seko & Brendan Butter Friday Aug 17th for an amazing edition of Happy Ending Fridays. Oh, and check it Zack was nice enough to make a tasty lil mix for your ear holes.